As a reader of the comics, I was really excited to finally see a movie about my favourite characters. I've learned that a FF film was in "development hell" for some decades, so when it finally came out, obviously I rushed to the theater. And, I was not disappointed at all. Of course it's not as good as X-Men 2 or Spider-Man (the original, with Tobey Maguire), but it's good for what it aims to be: a sci-fi/action movie about comic book characters. 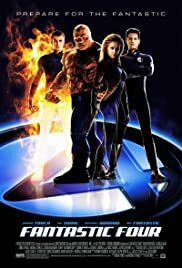 You have to understand that the Fantastic Four are not as popular as other heroes, like Iron Man i.e., besides, their stories always covered the most strange, bizarre, far out things imaginable. And, because they are a family, there are many corny moments in the movie, but the comics too have those moments, then you just have to "let it go", to really enjoy the story. Overall, it's a very decent movie about very decent people. Relax, and enjoy the ride!